TV-Nihon, one of the premier tokusatsu fansubbing group, just released Kamen Rider × Kamen Rider × Kamen Rider Chou Den-O Trilogy Episode BLUE: The Dispatched Imagin is NEWtral, subbed in both Blu-Ray and DVD formats. 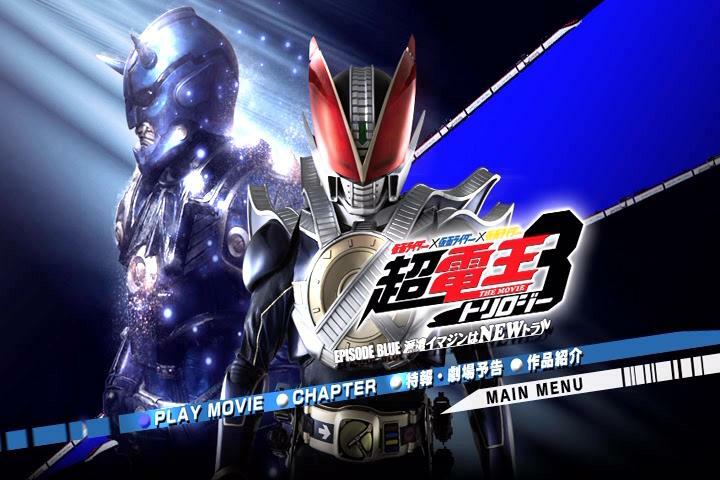 Episode Blue: The Dispatched Imagin is NEWtral revolves around "Friendship" and features Kamen Rider Den-O and Kamen Rider New Den-O attempting to regain control of the DenLiner (having lost it in Episode Red) when an Imagin takes it over, as well as two mysterious men. Throughout, Kotaro's and Teddy's friendship is tested and strengthened. Kamen Rider Chou Den-O Trilogy Episode BLUE: The Dispatched Imagin is NEWtral debuts in Japanese theaters at #2 spot grossing US$2,137,017 on 211 screens on its first week. Is there no download link like megaupload instead of torrent?